Corky Niedermayer is an alias for Mark Harp . As Corky Niedermayer, and with a little help from a.o. 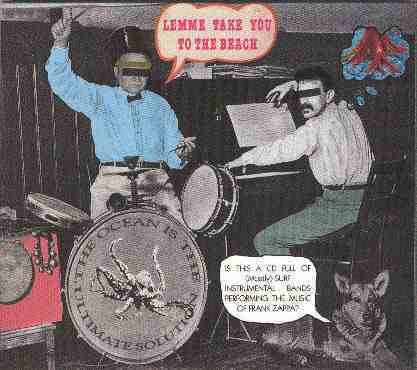 The Diamondheads' drummer, Mark Harp recorded Frank Zappa's 'Take Your Clothes Off When You Dance' for "Lemme Take You To The Beach", the Zappa Surf album on Cordelia records. The track was produced by Corky Nierdermayer and engineered by B.Plavelle and Dutch, recorded at Invisible and Regretable, Baltimore, Maryland, USA.